The Homicide Squad reports the details of a fatal motor vehicle accident which occurred on Wednesday, October 08, 2014 at 9:32 A.M. in Hicksville. Hicksville, NY - October 9th, 2014 - The Homicide Squad reports the details of a fatal motor vehicle accident which occurred on Wednesday, October 08, 2014 at 9:32 A.M. in Hicksville. According to detectives, David M. Zimmerly, 56, of Lindenhurst, was under a truck repairing it at his place of employment, the U.S. Post Office repair shop located at 109 Ludy Street. A second employee, Jacob Kuri Jr., 54, of Sayville, unaware Zimmerly was under the truck, entered and moved it, running him over causing fatal injuries. 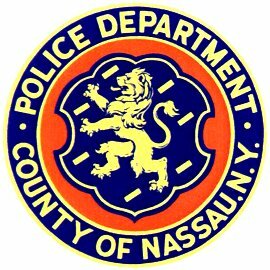 The victim was transported to Nassau University Medical Center where he was pronounced deceased. No criminality is suspected at his time. The truck was deemed out of service and will be re-inspected by the postal service. Subject: LongIsland.com - Your Name sent you Article details of "USPS Repair Man Killed in Fatal Repair Shop Accident"